laboratory. Even for a live show that rallies hundreds of thousands of people or a TV program watched by more than a hundred million people, there are barriers different from those found in art and research projects―e.g. there is only one minute available for a conversion process or insufficient time for rehearsals. Therefore, there is still a very limited number of cases in which a risky system is adopted, using real-time image analyses and/or image processing. In most productions, a performer moves, adjusting to the pre-rendered images. available time for setting up, how to use image recognition, image processing techniques, control techniques, and data analysis techniques at a huge arena for a live performance or on a live broadcast program, while actual software and data used in the production process are introduced. 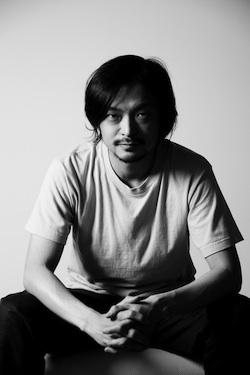 Daito Manabe was born in 1976. He graduated from the Department of Mathematics, Faculty of Science and Technology, Tokyo University of Science, and the Dynamic Sensory Programming Course at International Academy of Media Arts and Sciences (IAMAS). He founded in 2006, “rhizomatiks,” a design firm which deals with a wide range of media from websites to interactive design. He co-founded in 2008 the hacker space “4nchor5 La6” (anchor’s lab) with Motoi Ishibashi. He has participated in a variety of projects making the most use of his programming regardless of genre or field, and has also held educational promotion workshops worldwide in places such as MIT Media Lab and Fabrica. He has also designed a lot of works and workshops for children, including a workshop using computers at an orphanage in Thailand. He served as a presenter at the developer conference of openFrameworks and cycling 74 Expo. He participated in overseas festivals including Eyeo Festival, OFFF, FITC, transmediale, EXIT and Festival Scopitone. He served as a judge at Prix Ars Electronica 2009, won the 2011 Award of Distinction and the 2013 Honorary Mentions in its Interactive Art category. He received the Grand Prize twice and the Excellence Prize three times, and his work was selected as a Jury Recommended Work eight times at the Japan Media Arts Festival. Since 2010, Manabe has given directorial support to Perfume’s performances, and the Perfume Global Site Project he directed won the Silver Lion in Cyber Lions category at Cannes Lions International Festival of Creativity. Selected as one of 11 key persons along with John Maeda and Hans Zimmer at a special website to celebrate 30 years of Mac by Apple Inc., Manabe has won international acclaim.